A Farmish Kind of Life is a participant in the Amazon Services LLC Associates Program, an affiliate advertising program designed to provide a means for sites to earn advertising fees by advertising and linking to Amazon.com. You can view our full affiliate disclosure here. I often get asked how in the world I can do “all the things” I do on a daily basis. After all, I run a farm, homeschool my kids, and work as an author. So I thought I’d write up a lil’ something to let you all know exactly how I do everything. Ready for my secrets on how to do it all? 1) How to do it all? Stop thinking you have to. People joke that I must do everything by hand and make everything from scratch. Y’all, I do not. There is this crazy notion that when we decide to live the simple life, we have to do everything the old fashioned way. Ima gonna let you in on a secret. Everyone out there trying to be like Fantasy Homesteader of 1892? 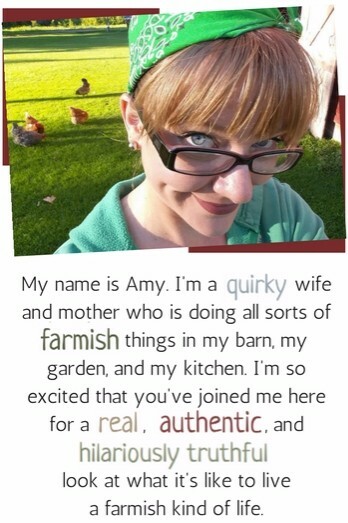 Well, Fantasy Homesteader didn’t have to have her kids at 4H meetings or basketball practice or dance class. She wasn’t being asked to volunteer as a confirmation guide or a Scout leader. Here’s the deal: you probably have a flushing toilet in your house, and if you’re reading this, internet access. We are living in a completely different world than whatever Fantasy Homesteader you’re trying to emulate. Get over it, and get over what other people think of how much you are or aren’t doing. I guarantee that this pig doesn’t care what other people think about her. 2) Realize that most people think they aren’t doing enough. I’m willing to bet most people reading this are accomplishing plenty during their day but are fixated on the things they didn’t get done. For all the things that I do get done in a day, there is that elusive, never-ending to-to list still floating around. And, while you’re looking at my life wistfully thinking, “Wow, she does so much,” understand that I’m probably looking at your life thinking the same thing. 3) Be selective about the things you agree to do. Don’t get me wrong, homesteading is a lot of work. But the point that people sometimes miss is that because it’s so busy, there are things we can’t—or won’t—do. Since moving to our farm in 2011, I’ve become well versed in the Art of No. As in, “no, I can’t do that right now.” Be honest about the time you have available and start respecting that time. There is no shortage of people or organizations that need your assistance, from church to your local school to your best friend’s mother. When you are overextended, it helps no one—I don’t care what your church/school/best friend’s mother says. When you’re constantly pushed to do more than you have time for, it’s yourself and your family and your farm that suffers the most. 4) Know when enough is enough. Is social media bad? I don’t think so. Can we spend too much time on it? Yep. We all need time to relax, unwind, and catch up with friends…but if we’re spending six hours a day on Facebook and complaining we don’t have any time to get our stuff done…come on. We’re all adults, right? This goes for TV, reading, Pinterest, etc. as well. Relaxing, unwinding, and entertainment is important, but know when enough is enough. 5) There is a trade off for everything you allow in your life. We all have 24 hours in a day. Be honest about what you can fit into those 24 hours. There is a difference between being busy with a full life and being so busy that you need supplemental oxygen. There is a trade off for everything you allow in your life. Being a part of everything means being really, really busy. Allowing too many things into your life gets out of control. Like turkeys who think they can sit on your shoulder. 6) Worried about how to do it all? Maybe try lowering your expectations. One can spend a ton of time keeping a house clean—especially if you have kids, or your house is a bouncing pad that people base from and then leave again. It’s hard to even consider how to do it all when you feel like you’re living in a circus of chaos. Cleaning house is one of the things I’ve had to relax about. Is my house picked up? Sure. Is it spotless? No, and I’m okay with that. If you drop by my house unexpectedly, you’re going to find laundry by the washing machine and dishes in the sink. If you call and say you’re coming over, I might vacuum, but I’m not going to deep clean behind the fridge. We’re all just people, living Life. Life is messy. Get okay with it. 7) Realize that sometimes there just isn’t enough time. Some people are hell bent on learning how to do it all. Lest I get angry emails asking how I think people can just give stuff up or get okay with having a messier house, let me be clear—sometimes there just isn’t enough time and life is too stinkin’ full. Sometimes you have to scale back. Look. It was never written anywhere that we were promised leisure time while fitting in everything possible we would ever need to or want to do. Most of the time, we’re all really busy. Life. Is. Full. Sometimes it is more full than other times. Like, you know. Harvest time. You may be at a place in life where there is just too much to do. But it doesn’t hurt to take a look at how things are set up. Would it be horrible to say, “Kids, you can be involved in ‘x’ number of things, but not ‘y'”? or “I really don’t have the time to do ___ right now, maybe in a couple years”? Most of us can’t look at our own life and make this judgement—it sometimes takes the keen eye of an outsider to look at what we think is normal and ask why we do it the way we do it. Maybe there is an option you haven’t considered that will free up some breathing space, help you fit in that thing you’ve been trying to make time for, or allow you do the same things in a different, more productive way. It doesn’t hurt to ask. So. This whole how to do it all thing. How does one accomplish it? They don’t. They just don’t. Put your feet up. Relax. Take some time to sit with your chickens. 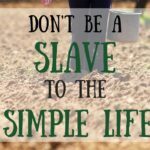 Take some time to remember why you wanted to be a homesteader in the first place. 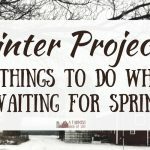 Celebrate that you finally got the homesteading life you wanted. You’re going to be just fine. Do you homeschool? So do we! 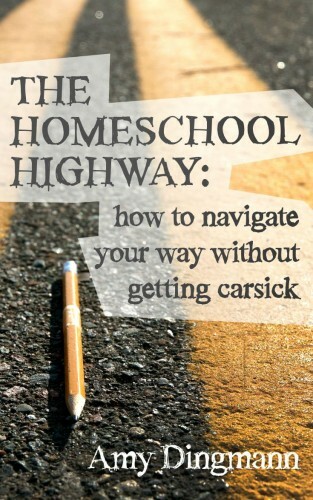 Check out my book — The Homeschool Highway: How to Navigate Your Way Without Getting Carsick. That whole frugal living thing? 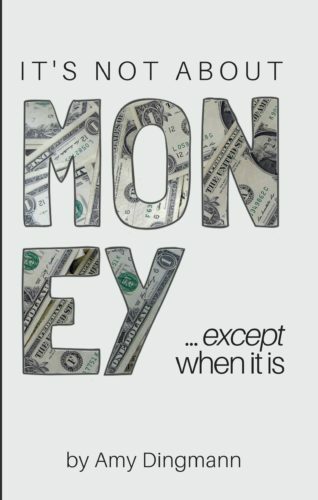 It's not about money....except when it is. Check out my new book! Farmish success! Now check your email to confirm your subscription. What a blessing to be able to relax and let things go without feeling like a failure! Thanks for the great read. Great post! I am finally giving myself permission to lower my expectations and let things go. We all need these reminders, thank you for this. Could not agree with you more! We definitely have to realize that we can’t do it all and there are seasons for a reason – sometimes we need to just rest! I think as woman, we always feel like we have to do it all. Its a good reminder that ya don’t gotta be wonder woman every day! Thanks! Great article! We are so hard on ourselves and need to give us a break, you know? I quit my job on January 1st this year for the sole purpose of becoming self employed and learning to live off of our land. What really helps me is to create a daily, weekly and monthly schedule when I slot in tasks based on priority for each of those day and estimate how much time I think it will take to get each of them done. Of course, my estimation is usually way off, but I will get better with that as I gain experience. I know this a really OCD way of doing things, but it is what gives me peace of mind. Maybe this will help some of your readers! Thanks for sharing! Good advice. I am an empty nester now but remember years ago learning to quilt. My mother, who was an expert seamstress, asked why I didn’t just quilt on the sewing machine. I told her that I wanted to “do it like grandma did”. Her reply was that if grandma had a sewing g machine she would have used it! I have since that time learned to appreciate the conveniences that we have that allows us more time. I am a participant in the Amazon Services LLC Associates Program. I make affiliate income based on your purchase(s), but you don't pay extra. And now you know. The end and Amen.